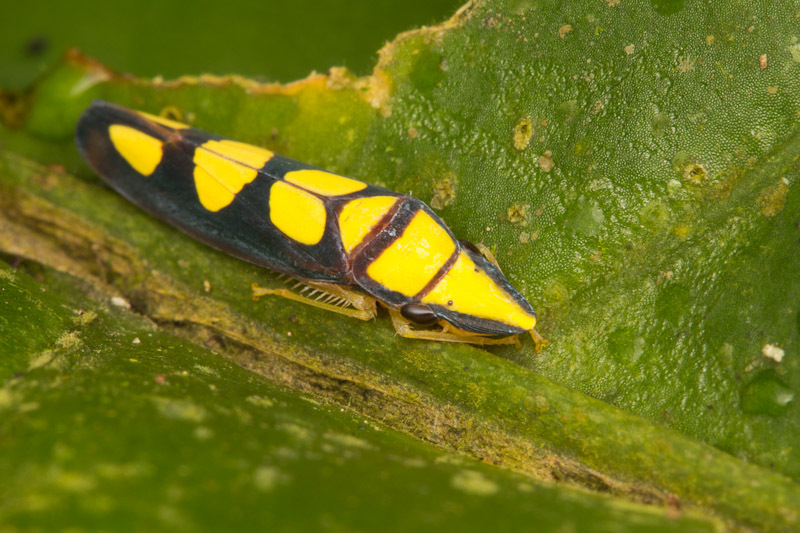 Here’s a somewhat unusual leafhopper. 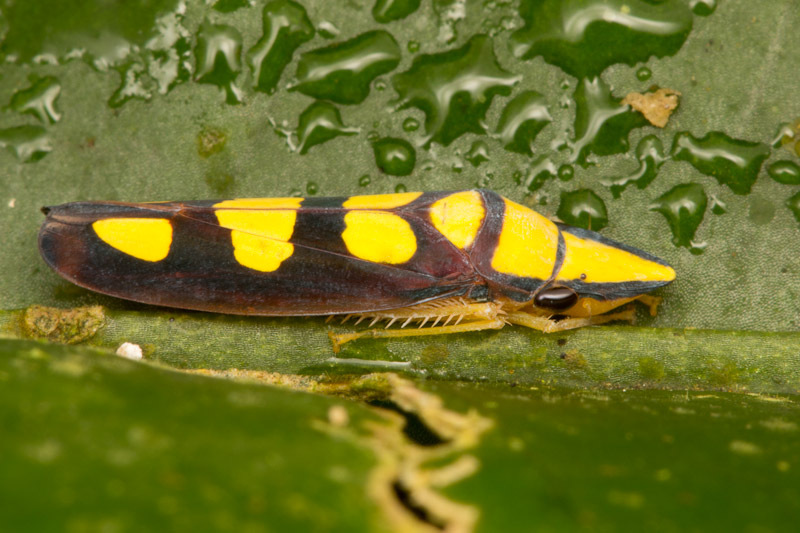 I don’t recall ever seeing one with an upturned snout. 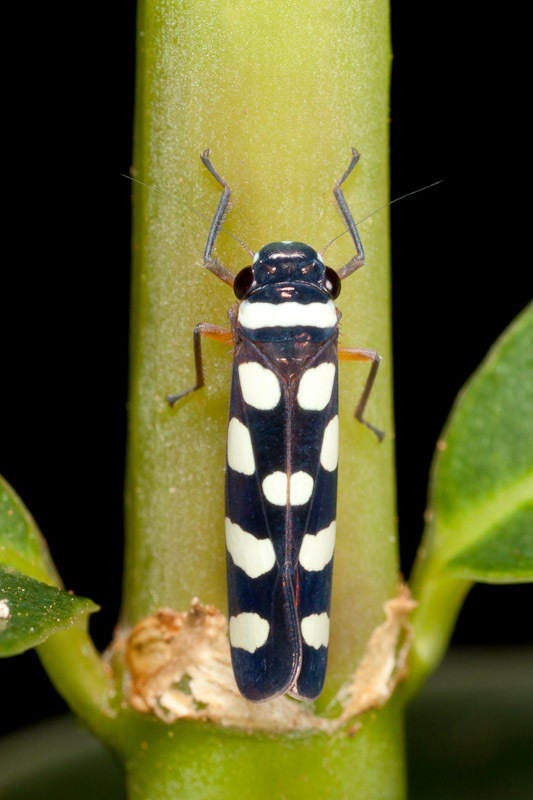 In an earlier post I remarked how I initially mistook a colorful micromoth for a leafhopper, and that I later saw a similarly marked leafhopper. 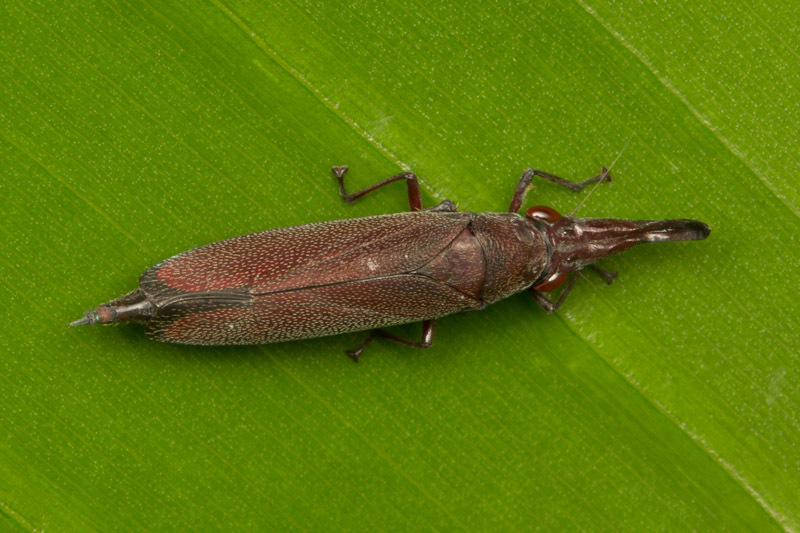 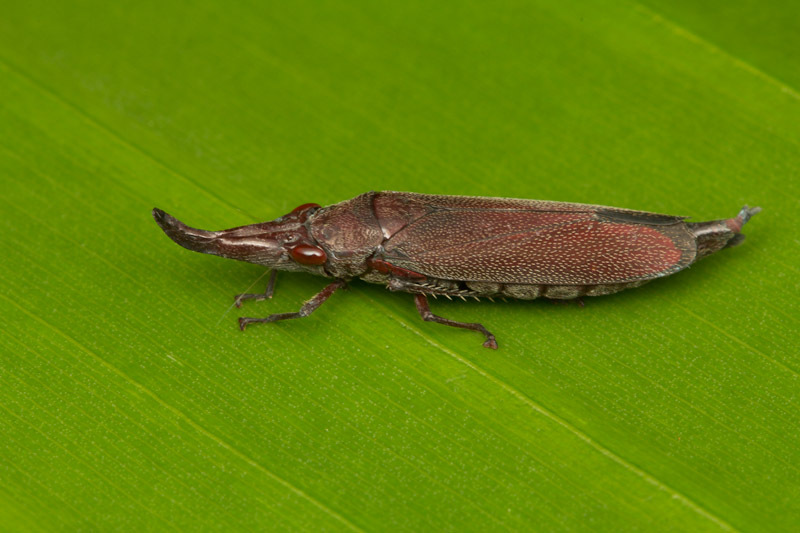 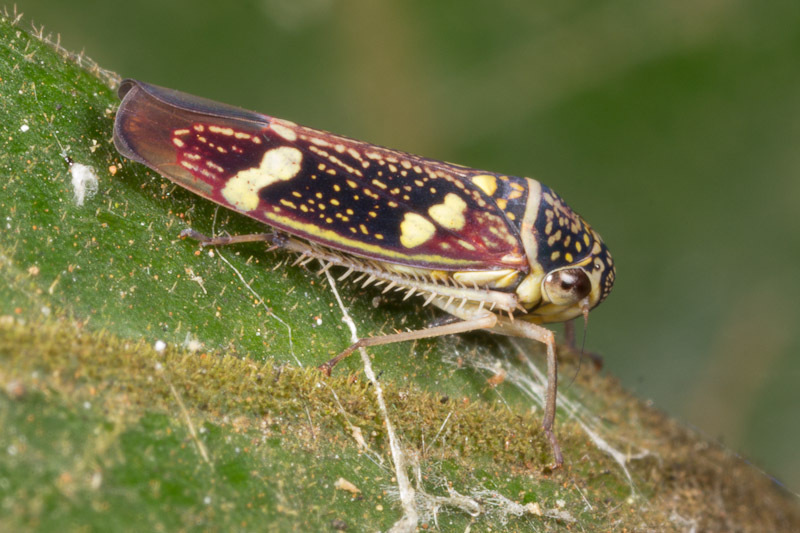 This is the leafhopper I had in mind, although now I can’t really say they look all that alike. 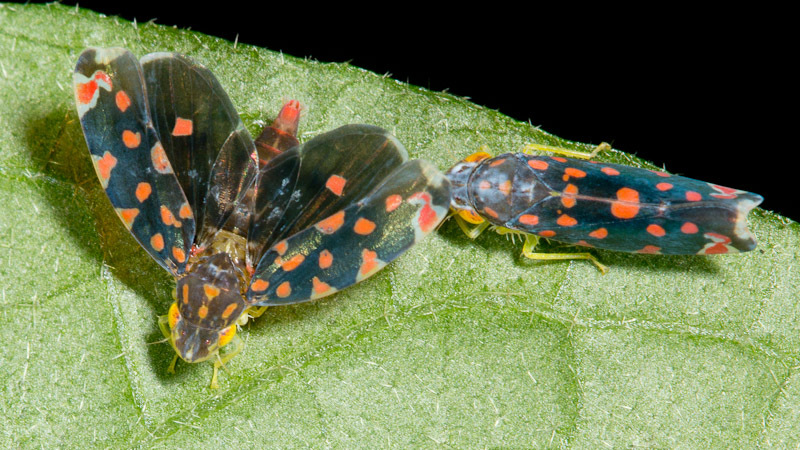 I did see quite a few of this variety of leafhopper though.